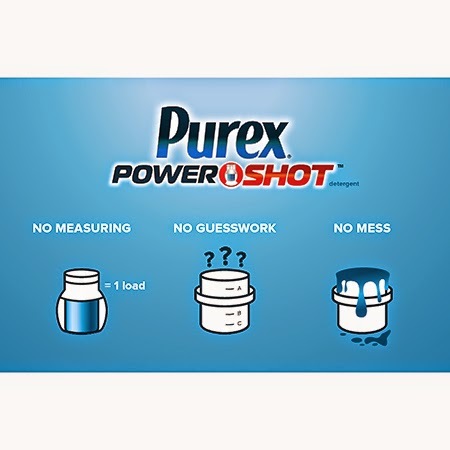 Alison Shaffer: Giveaway: New Purex® PowerShot Detergent! Are you ready to flip? 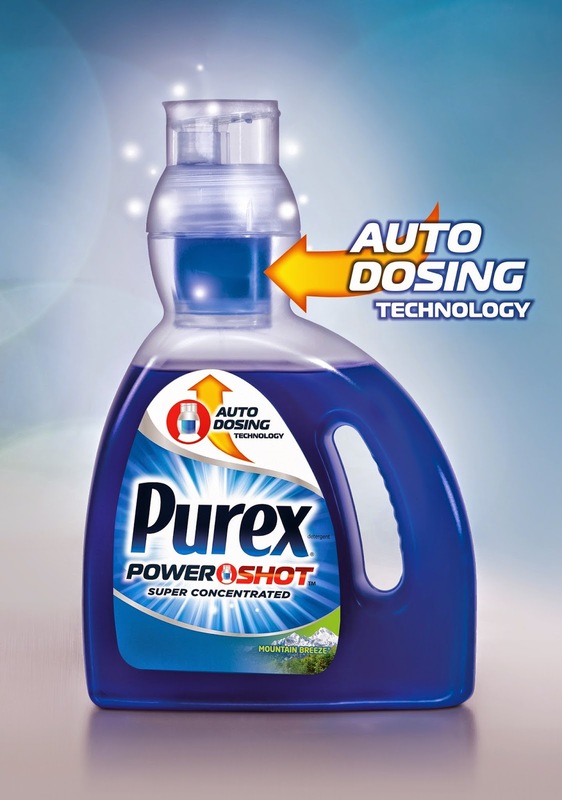 Giveaway: New Purex® PowerShot Detergent! Are you ready to flip? Laundry, wash, dirty clothing, or whatever term you use for- it's time to run the washing machine are part of my daily life. How about yours? I do an average of two loads of wash a day. When my kids were younger it was like 5 loads a day! That's a lot of laundry detergent to buy and lug home from the store. I am glad for the more concentrated laundry detergent since that means the bottle is not so heavy. It's enough work loading the washing machine then the dryer to have yet another big ole bottle to navigate measuring the right amount and not have a messy dripping bottle, right? So, what's this new product??? It's new! It's Purex® PowerShot detergent. It's Super Concentrated with 50% more stain fighting power in every drip. It smells awesome and cleans awesome. It's pretty cool to use. Flip the bottle upside down, yep, upside down! (into your washer of course). One super concentrated dose is auto-dispensed into your washing machine. No mess, No waste, No drips. Giveaway: For your chance to win one of three coupons good for a FREE bottle of new Purex® PowerShot enter the raffelcopter widget. Open to residents of USA, 18 years of age or older. Three winners will each be sent ONE coupon for the FREE product. 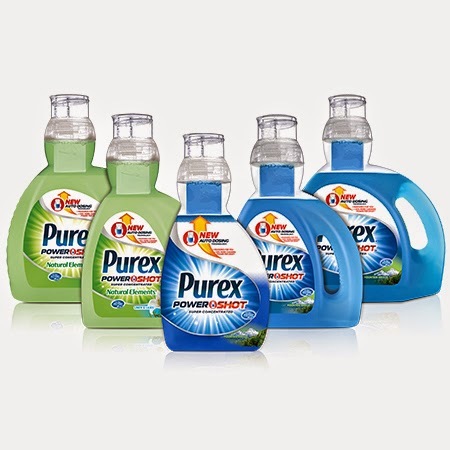 Disclosure: The Purex brand provided me with a sample of Pures Power shot detergent in exchange for a product review. However, all the opinions expressed her are my own.